The holiday season is a wonderful time of year when people all over the world gather together with special friends and family members to create magnificent memories, enjoy festive feasts, and exchange gifts to demonstrate their love and appreciation for one another. Unfortunately, it is also a time of added expenses, and especially if you are already pressed financially, this time of year can be extremely stressful, overwhelming, and if you’re not careful – detrimental to your bank account. If your financial situation has got you singing the Christmastime blues this holiday season, don’t stress out just yet. 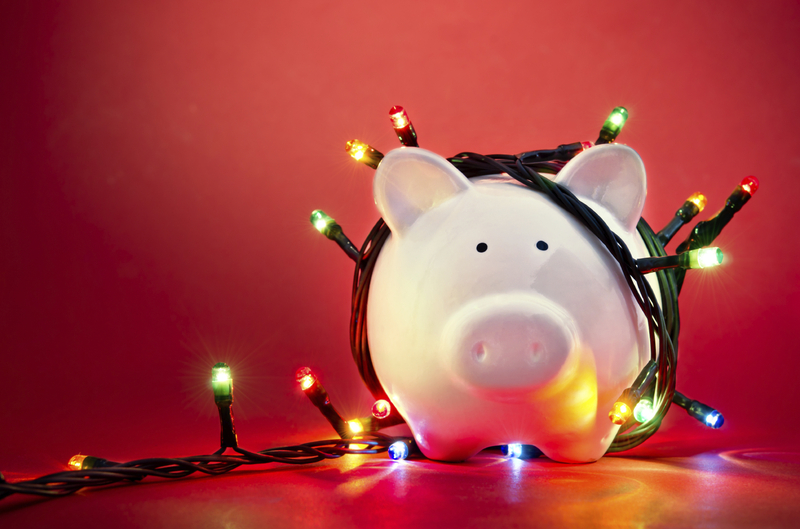 Follow these simple household money saving tips and you will be rocking around the Christmas tree before you know it. Outside Christmas lights and lights on your Christmas tree are beautiful to look at and are a sure fire way to bring out that joyous Christmas spirit, but the added expense on your electric bill can be enough to bring out the Scrooge in you. Be sure to turn off your Christmas lights at night, and only light the tree when family members will be home to enjoy it, and you can save a substantial amount of cash this holiday season. If you want to save even more, skip the lights altogether and opt for red velvety bows, artificial Christmas flowers and shiny garland to decorate with instead. That ugly sweater you got from Grandma last Christmas can really come in handy when it comes to saving money around the holiday season. Throw it on and turn down the heat a few degrees, and you will be amazed at the impact it can have on your heating bill. Perhaps one of the best household money saving tips during the holidays is to invest in a programmable thermostat and set it to a lower temperature while family members are away or asleep. If you plan to entertain family and friends for the holidays, don’t forget to turn down the heat shortly before they arrive. The extra body heat emitted by your guests will raise the temperature enough to help keep things warm. If you plan to travel during the holiday season, don’t forget to clean out your vehicle’s trunk before you leave. The extra pounds from unnecessary items can actually reduce your fuel efficiency. Clean your house and go through old storage boxes before you head out to spend extra cash on decorations this Christmas. Look for leftover wrapping paper and bows to supplement your gift wrapping supplies, and use things like candles, old Christmas ornaments, crystal glassware and even old Christmas cards to create festive home decor. Turn down the lights and create a more festive ambiance this holiday season with candles instead. Purchase an artificial Christmas tree that can be reused year after year. Use technology to save money this holiday season by sending e-cards, holding your family get together online with video chat, purchasing online gift certificates that your recipients can redeem for gifts, or even making a holiday greeting video featuring your family. Extra groceries and party staples can put a real dent in your budget this holiday season if you are not careful. If you plan to host a holiday celebration this year, ask guests to bring a dish or supplies and make it a potluck dinner. If you are struggling financially this holiday season, follow these household money saving tips and contact Fast Access Finance for more information about loan options that can help.